The card has no expiry date and is valid from whenever you spent a holiday in one of our camping villages any time during the next 3 years. Each time you purchase a stay, you are credited with points that you can put towards any kind of accommodation on your next trip to any of our camping villages (except from 1 July to 31 August and during the French school holidays at Christmas and in February (zones A, B, and C)) for the Yelloh! Villages that are open during the winter. You can also save up your points for a site in one of our many camping villages, stay in a higher category of accommodation, donate your points to a person of your own choice or even save up more points on future holidays. You will receive the Yelloh! Village newsletter and can take advantage of promotional offers in all our camping villages. 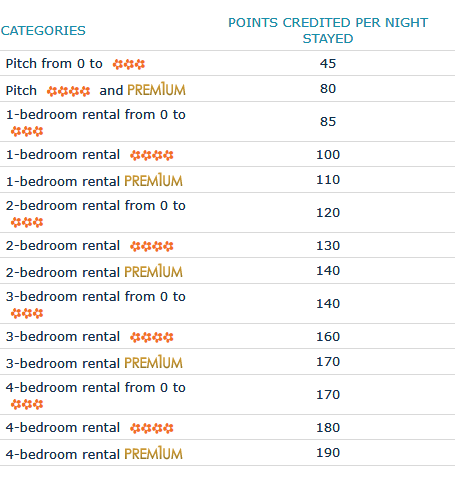 The number of points accumulated is the same whatever the period of your stay and points are automatically credited to your card 16 days after the end of your stay. Don't forget to have your loyalty card with you when you book your next trip and when you arrive at your Yelloh ! Village campsite. Via e-mail by subscribing to our monthly newsletter. You can also make a booking enquiry through the Yelloh ! Village reservations centre or by contacting the Yelloh! Village of your choice directly. For more information, see the Terms and Conditions of the Yelloh Plus Loyalty Scheme. 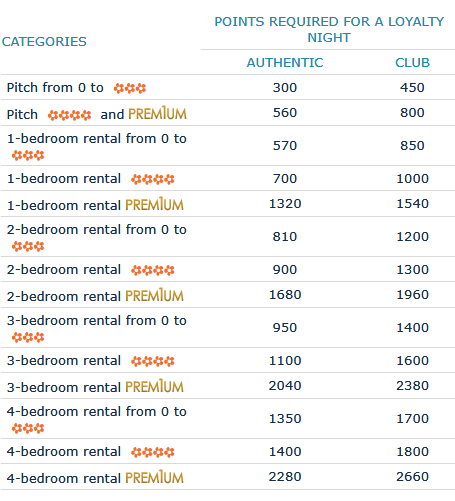 *Depending on availability at the time of your booking request (specific rooms allocated to Yelloh Plus loyalty scheme). Please just ask for the Yelloh! Plus card to enjoy all sorts of benefits provided by the programme!